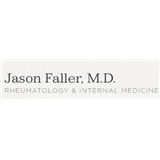 Jason Faller, MD. (New York) - Book Appointment Online! We are focused on making your care experience as personal, convenient, and comfortable as possible. We take the time to fully listen and understand your needs, and then work with you to develop an appropriate plan of action. We want you to be a full participating partner in your healthcare. We are accepting new patients under the age of 40. PLEASE PROVIDE YOUR INSURANCE ID NUMBER WITH YOUR REQUEST FOR APPOINTMENTS AND YOUR DEMOGRAPHIC INFO. WE CANNOT CONFIRM ANY APPOINTMENT WITHOUT THIS INFORMATION.Please note: While we do accept United Healthcare PPO plans, we do not accept THE EMPIRE PLAN. To save time when you come in for your appointment, please complete the 5 registration forms prior to the appointment. PLEASE BE AWARE THAT THERE IS A $75 FEE FOR MISSED APPOINTMENTS OR APPOINTMENTS CANCELLED SAME DAY. It was a wonderful experience,he has discussed everything thoroughly before giving the medication and i have got instant relief on my Ankylosing Spondylites pain.